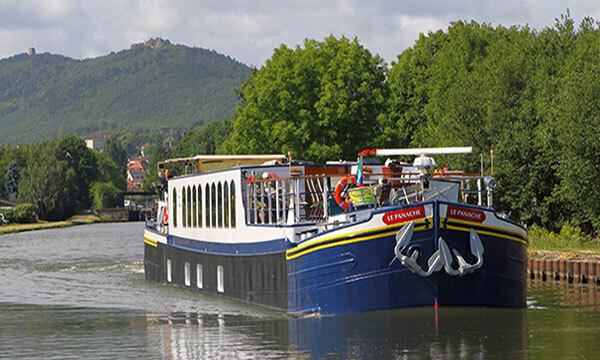 Framed by the foliage of Black Forest and beauty of the Vosges Mountains, barge cruising in Alsace-Lorraine reveals a region of storybook castles, rolling vineyards of Alsatian wines, and architectural treasures. The area’s signature blend of French and German influences are strongly evident in its customs, cuisine, and language. Only the Rhine separates Germany from Alsace-Lorraine, a region that often looks and even sounds German, but its cultural and historical heart beats to a cadence that is decidedly French. 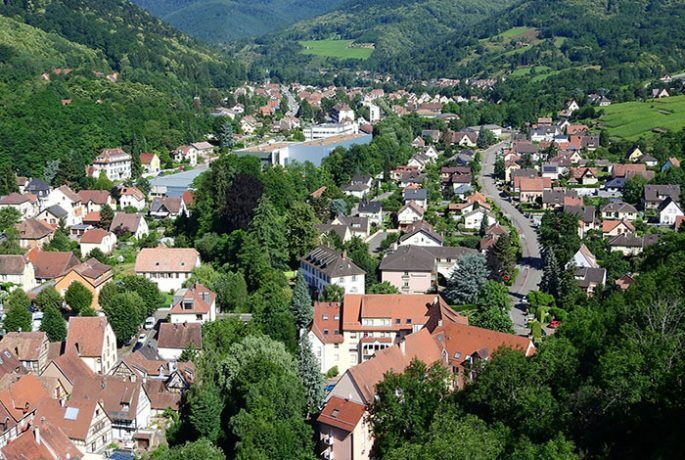 Alsace-Lorraine is the easternmost region within France and easily accessible from Paris by TGV to both of the main transportation hubs of Strasbourg and Nancy, and flights from Paris to Strasbourg are also plentiful. 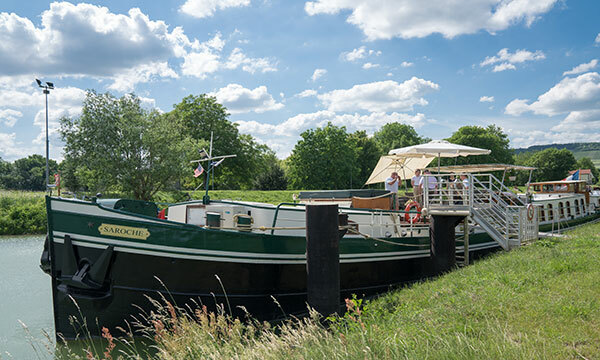 Combining a barge cruise with a few days in Germany, Switzerland, or Luxembourg is also a marvelous way to explore this part of Europe. Strasbourg’s beautifully preserved city center beckons with Gothic churches and pedestrian-friendly streets. Nancy, a riverfront city in northeastern France, is the birthplace of Art Nouveau art and architecture. 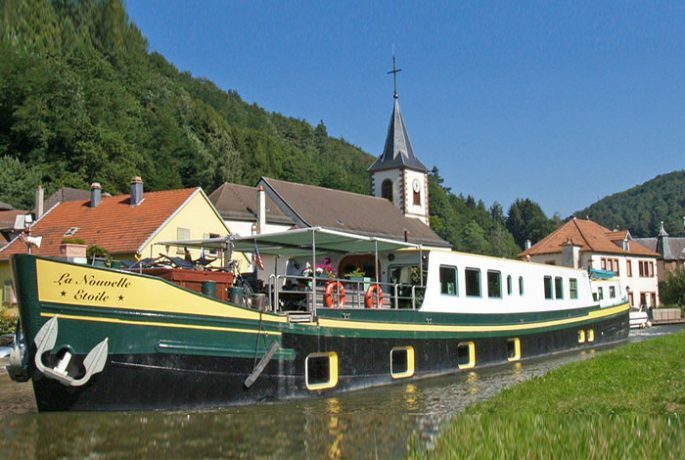 The Arzviller boat elevator, which ascends or descends over the Vosges Mountains, allowing barges to traverse in four minutes what once took an entire day. Winetasting on the Route de Vin d’Alsace. 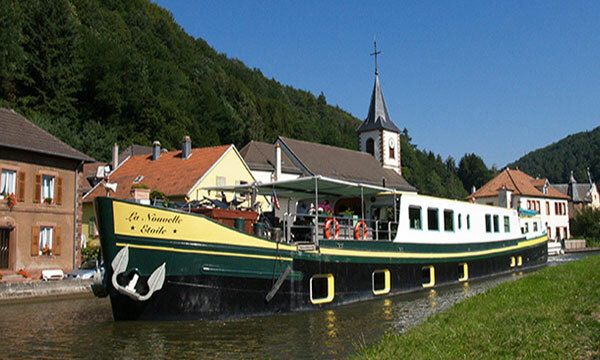 Canal de la Marne au Rhine and the Canal du Rhone au Rhin, offering barge travel between Nancy and Strasbourg. Petite France, the small area between the rivers, is home to some of Strasbourg’s prettiest and most photogenic streets and buildings. Scenery, scenery, scenery! Peaceful and romantic cruising through the placid greenery of deep forests and past hilltops dotted with the remains of feudal castles. Fairy-tale villages and enchanting towns, with preserved half-timbered houses, charming cobblestoned streets, and lively town squares. Explore the complex heritage and history of this region, which has been variously claimed by France and Germany.